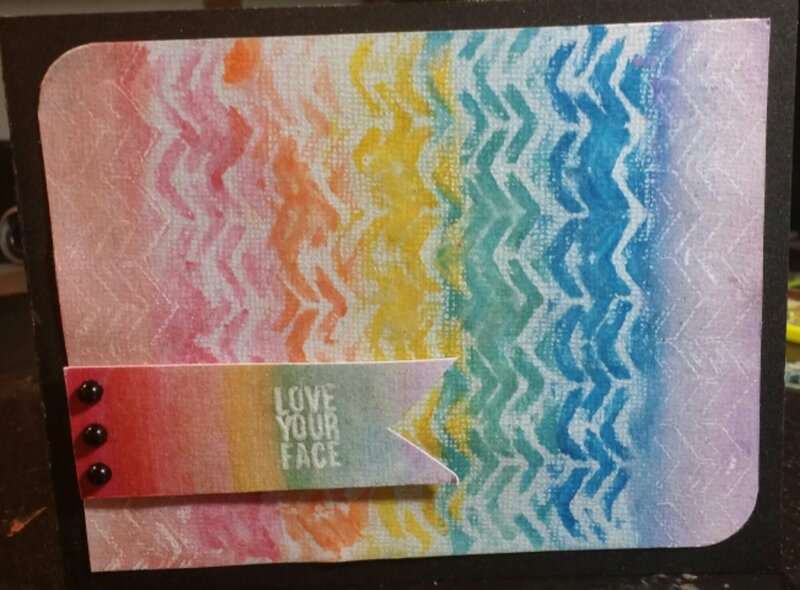 I created this card using the new Mr. Hueys watercolor palette that I have for sale in my store. I also used one of my laser cut Chevron masks that I now decided to recreate into a larger background stencil to make this technique easier. Overall, I like this card, but I can see how it could be improved by using a background stencil rather than a border mask like I was using. 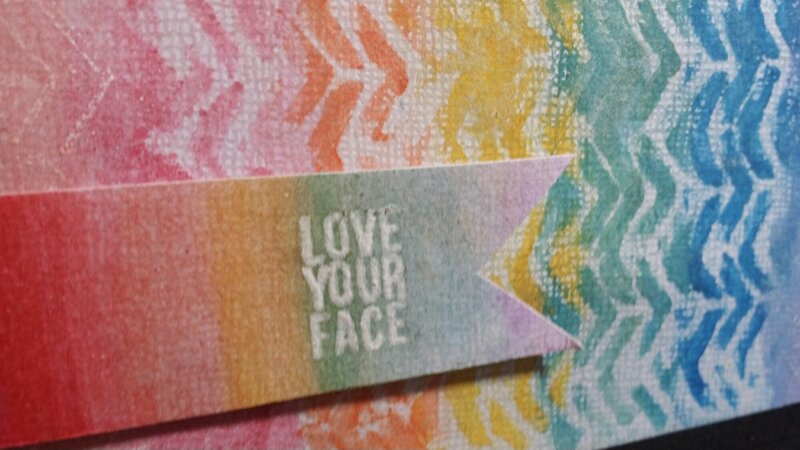 I used the mask as a stamp to create an emboss resist on the sides. Watercolors are a lot of fun and are very freeing to use.